Here is one more puzzle Linked Sudoku which was part of Sudoku Mahabharat 2015-16 Twisted Classics round. 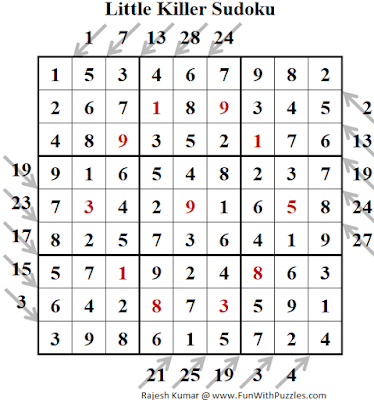 Linked Sudoku is very interesting Sudoku variation in which one has to solve two or more Sudoku puzzles simultaneously as there is dependency between these puzzles. Solving this puzzle is lot of fun. Today's puzzle as most loved puzzle in this championship. Linked Sudoku itself comes in different forms. Two different Sudoku puzzles with different rules can be linked together. However current Linked Sudoku puzzle links two Classic Sudoku puzzles. This Linked Sudoku, I am posting in Fun With Sudoku Series as 160th puzzle in this series. Apply Standard Classic Sudoku rules. Additionally Two grids are linked to each other. The shaded cells must contain same digit in both the grids.. 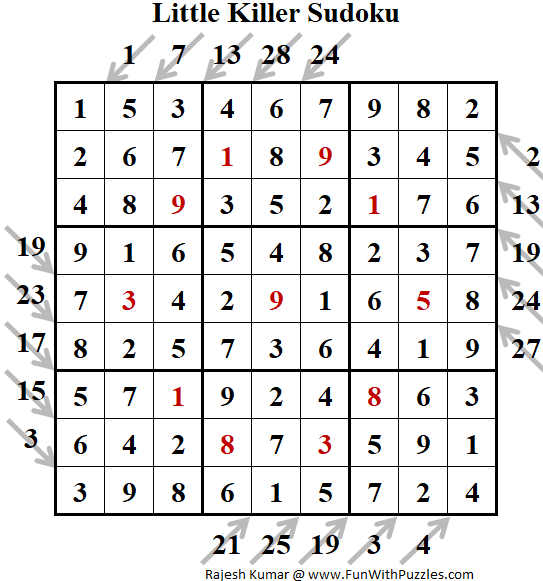 Here is solution of Sudoku Puzzle Titled "Little Killer Sudoku Puzzle (Fun With Sudoku #270)"